An Authentic Chinese Cooking and Dipping Sauce. 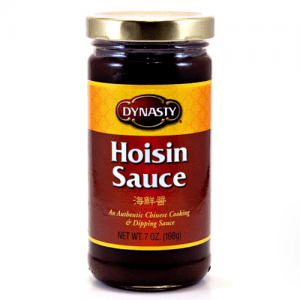 Hoisin sauce, also called Chinese barbecue sauce is a fragrant, pungent sauce used frequently in Asian stir-fries and marinades and Asian-style grilled dishes. Made from a combination of fermented soy, garlic, vinegar, and usually chilis and sweetener, hoisin is dark in color and thick in consistency. It has a very strong salty and slightly sweet flavor.